Here's a fact: David Beckham makes kids cry. That might be a bit misleading. You see, the world-famous soccer player (or footballer, depending on where you hail from) doesn't intentionally go around terrorizing children. As far as we know, he doesn't go around terrorizing anyone. What he does do is show up unexpectedly at retail stores and surprise unsuspecting customers. At least, that's what he did for Olympic sponsor Adidas, which sent Beckham to pop in on British sports fans in a photo booth, and filmed the whole thing. And that's where the tears (of joy) began. Among the reactions people had to a visit from Beckham were gasps of awe, unbelieving smiles, and a strong need for a hug. One young fan was just so happy and excited and overwhelmed to find himself in the company of Beckham that he started crying. 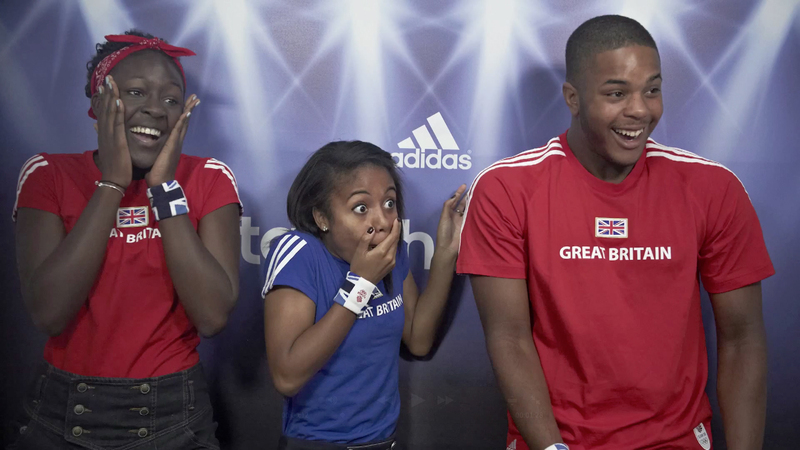 Even if you're not a sports fan, let alone a "teamGB" fan—the spot touts Adidas's support of Great Britain's athletes during the London Games—you've had that feeling of being so shocked and overcome that you can't control yourself. It's a rather heartwarming thing to be reminded, ahead of the 2012 Games, just how important athletes are in the lives of a great many people. On second thought, maybe that kid was just stoked to meet Posh Spice's husband. Note: While Adidas in the U.K. developed the Beckham spot in-house, ad agency Sid Lee has crafted a whole Olympic campaign for Adidas under the theme "Take the stage." Check out a couple of those spots below.